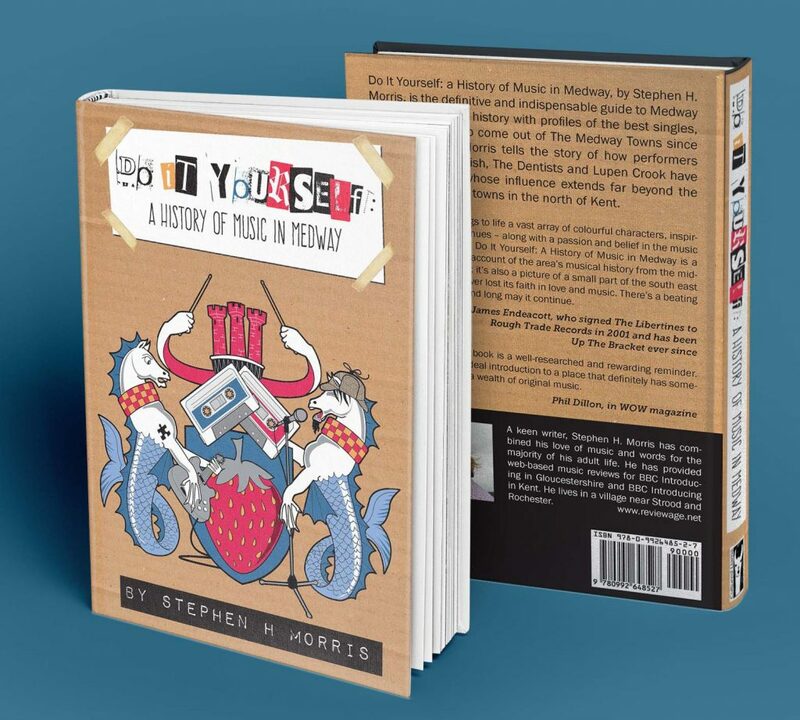 Author Stephen H Morris’ Do It Yourself: a History of Music in Medway tells the story of how a collection of small towns in the north of Kent have produced more than their fair share of bands and musical artists. 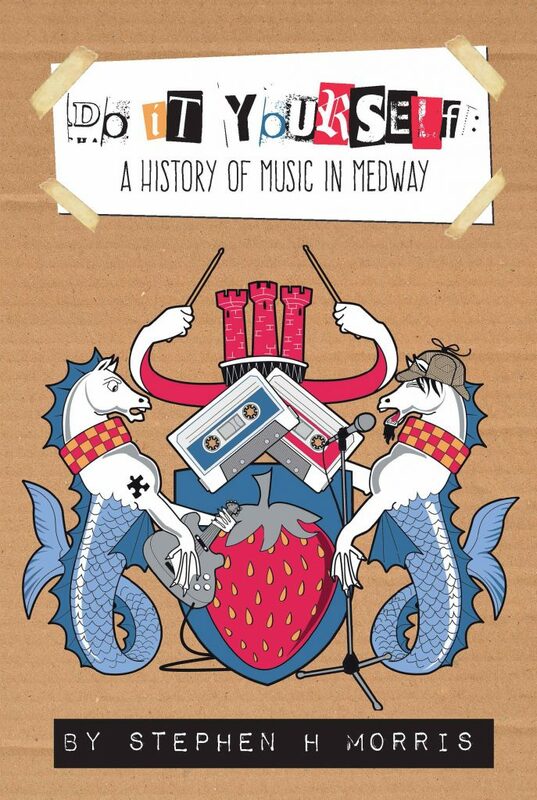 Mixing oral history with profiles of the best singles, EPs and albums to come out of the Medway Towns, Do It Yourself is an indispensable guide to the places that brought you Billy Childish, The Dentists and Lupen Crook. Stephen’s brief was that he wanted a cover that combined references to the Medway area with some musical references from his book. The concept I came up with was to carry the ‘Do it yourself’ mentality of the musicians described in the book across into the design of it’s cover – a punk title held in place by masking tape, the author’s name written by Dymo label and an illustration subverting the Medway coat of arms (the publisher sought special permission from the Mayor of Medway to use this!). The result – the Author and Publisher both love the cover and the book is due to be published Mid-March 2015. 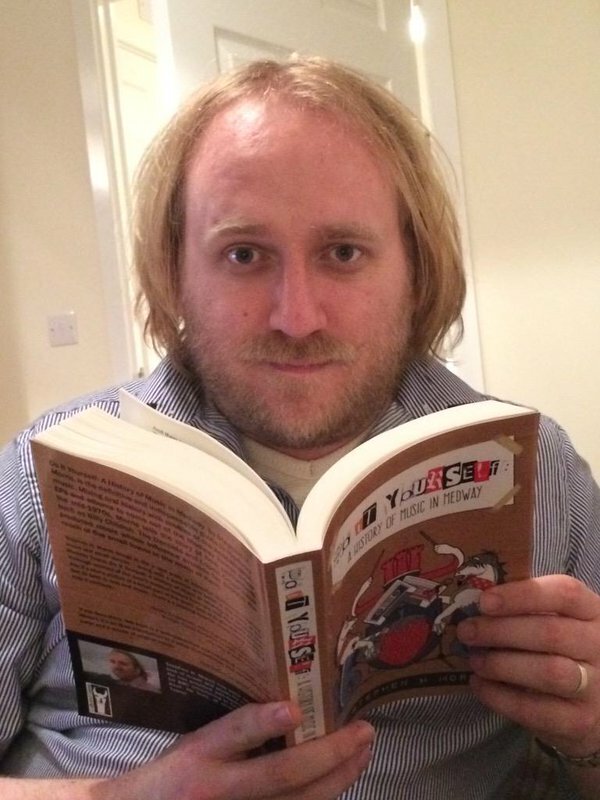 Can’t wait for the book launch party!